It was in the 1930’s that MJ Larson, Founder of All New Stamping Company, began honing his skills in the metal stamping industry. He began with Dayton Rogers in Minneapolis working his way through the shop, mastering his skills as he went along and finally ending up in the management of the company. 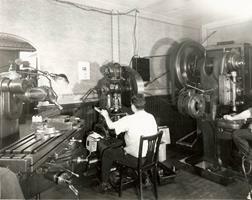 In the early 1940’s he moved to Cleveland and went to work at HPL making stamped parts for the war effort. He remained there till 1946 when he and 2 other partners started their own stamping company called WLS Stamping, in Cleveland Ohio. They serviced many of the major companies in the automotive, government and agricultural industries. By the 1950’s MJ was anxious to move to California to raise his family and look for new opportunities. In 1952 he sold WLS and moved out to California with his wife and 4 sons, Chuck, Jerry, Bob and Jeff, and went to work for Short Run Stamping Company. After about a year he opened up his own shop with 2 partners called Tempo Stamping. They began with a few customers building upon the robust economy of the aerospace industry in Southern California. In 1959 MJ sold his share in Tempo Stamping and bought a company called Hult Tool and Manufacturing in Pasadena. This 2500 sq. 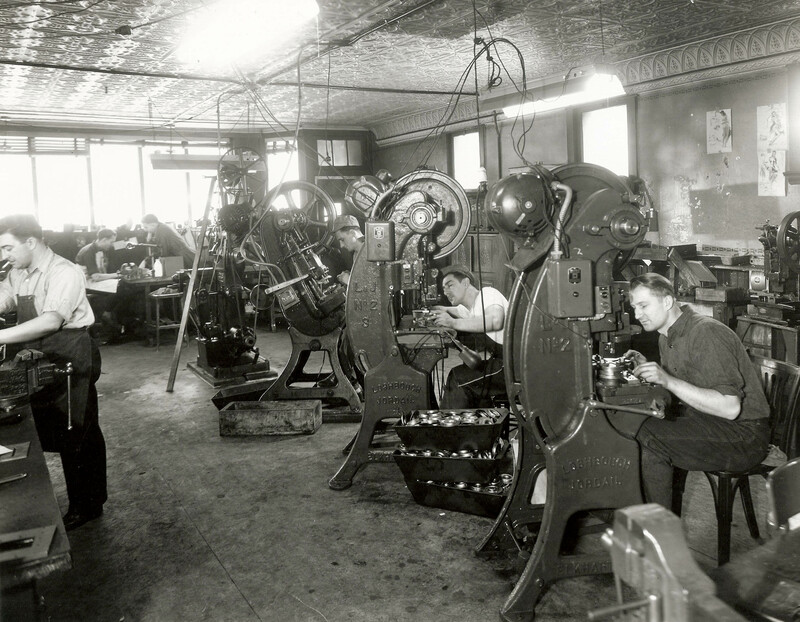 ft. shop was making tooling and stampings for a variety of industries. It gave MJ the opportunity to create the family owned company that he had dreamed of. 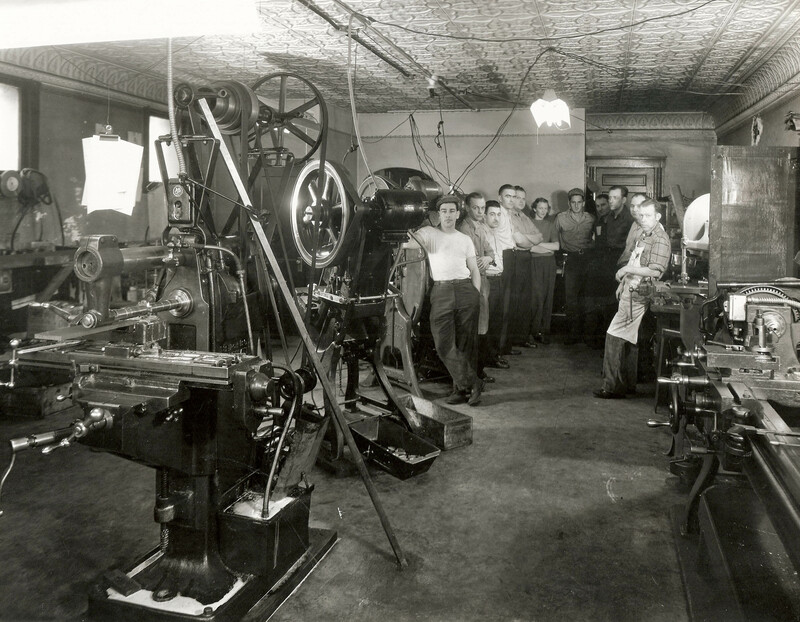 All the sons began working in the shop in their teens, sweeping floors, gaining more and more experience in each of the phases of the business. MJ’s philosophy was that the shop should be clean and safe. MJ and his wife both worked in the business doing what ever was needed. His wife worked in the press room as well as the front office. In 1962 MJ incorporated the company and changed the name to All-New Stamping Company. His oldest son Chuck became the plant manager. In 1963 Chuck became the president of the company. He remained with All-New until his retirement in 1995. Jerry came to work full time in the early 60’s taking machining classes. 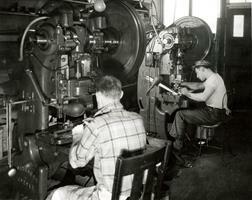 He began as a set-up man and press operator then moved to the tool room. He spent 4 years in outside sales for the company before becoming plant manager. Today he is the quality assurance and safety manager. Bob moved through the company from the shipping department to the tool and die shop. He found that he liked working with computers and CAD as the industry changed. Today he runs the tool & die shop and oversees all the EDM work. Jeff came to the company after a stint in the construction industry. He began working in the tool room and honed his skills on the computer, programming CNC machines and working with CAD/CAM systems in the engineering department. Today he runs the fabrication department and oversees all the programming for the company. Don Schuil joined the team in 1987 and soon became the Purchasing Manager. Today he is the President of the company. As time went on the company expanded it’s operation to a 7500 sq ft facility in El Monte to better serve customers such as Sierra Engineering, Burroughs, Bell & Howell and Hardman Aircraft. The 1960’s saw a substantial growth for the company. They grew so much that they moved into a 20,000 sq ft facility in Arcadia to service larger companies such as Xerox, Parker Aircraft, Jonathan MFG, Shur-Lok and Pacific Scientific. Some of these companies they do business with to this day. In 1977 All-New made the first in a series of acquisitions buying Stamptronics. This increased their capabilities adding welding, fabrication and assembly. It also brought them additional customers such as Sperry/Univac. This was the beginning of a new phase in their business. It began the systematizing of their processes and enabled them to offer their customers completely finished parts and sub assemblies. They also gained a lot of industry experience, systems and personnel that were instrumental in moving the company forward. They incorporated much quicker turnaround times and were able to offer their customers even better quality and service. In 1982 they acquired Hawthorne Stamping and absorbed their facility into their own. This added Hughes Aircraft and Raytheon to their customer list and gave them the ability to work with additional customers who required complete sets of audits vendors were now able to provide. They also used this opportunity to solidify their production and quality processes to meet the most stringent requirements. In 1989, coming full circle, All-New bought Short Run Stamping Company, the company MJ first worked for when he came to the West Coast. This acquisition brought them into their current facility in El Monte and gave them the additional room to further expand their capabilities. They set up the shop to take advantage of complete workflow and efficiencies for job optimization. It also increased their tonnage capability to 150 tons. 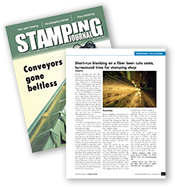 During the 90’s All-New Stamping focused on refining their workflow process and quality. They became a fully computerized operation assisting them in streamlining their systems and increasing efficiencies. Always planning ahead they began making progressive dies in-house aided by the new sophistication of their tooling operations and their CNC equipment. This allowed them to upgrade some of their existing customer tooling to work better within their newly improved system. They added more computer capabilities such as an MRP and an estimating system. In 2007 they began the process of becoming AS 9100 certified and achieved this in a record 8 months due to their highly advanced quality system that was already in place. Today All-New continues to lead the industry by always staying ahead of their customer requirements and endeavoring to maintain the highest level of customer satisfaction and service possible in todays business environment.